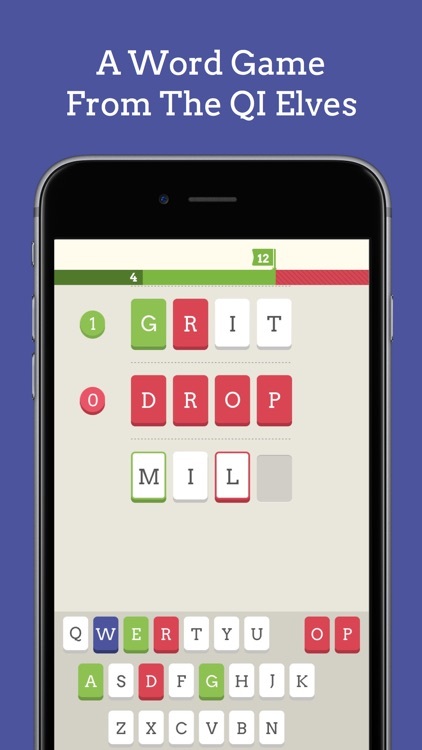 Qiktionary is the free, award-winning 4-letter word game from the QI Elves. 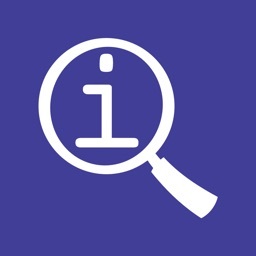 Play single player to unlock a library of amazing facts, or challenge friends in multiplayer.  Simple to understand but hard to master, Qiktionary is a game of logic and vocabulary, where you uncover hidden words and are rewarded with amazing facts. 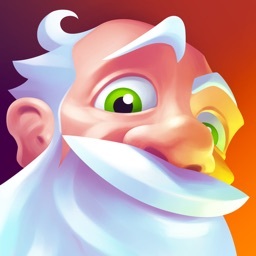 "If, like all of us at QI, you’re a massive fan of Boggle, Scrabble and Only Connect, you’ll love this maddeningly addictive new game. It’s great fun to play in its own right – either against the machine or with a friend – but the unique bonus is that, every time you solve a word, you’re rewarded with an interesting fact about it. 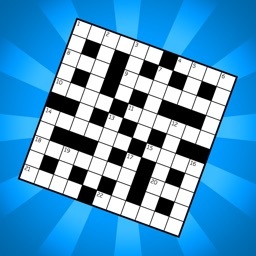 So not only will you improve your brain skills, but your pub banter will leap to a whole new level." 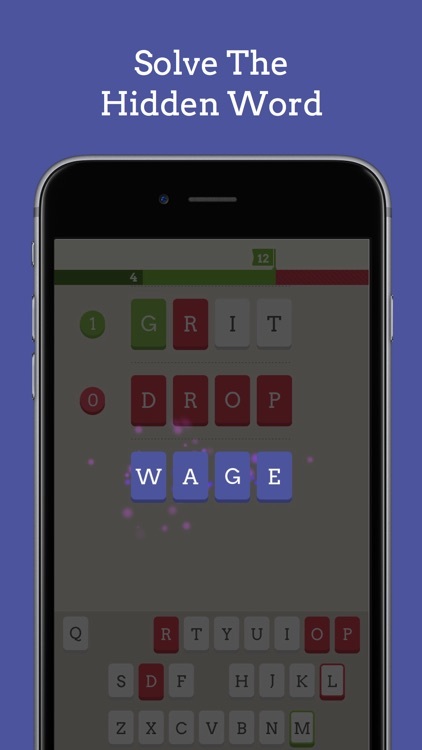 – Solve challenging word puzzles to unlock interesting facts from the QI Elves to build your own Qiktionary. 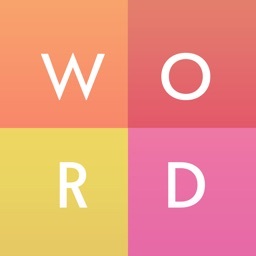 – Play through 4 free Wordpacks in increasing difficulty, including a ‘fish’ themed Wordpack to celebrate QI’s podcast, No Such Thing As A Fish. 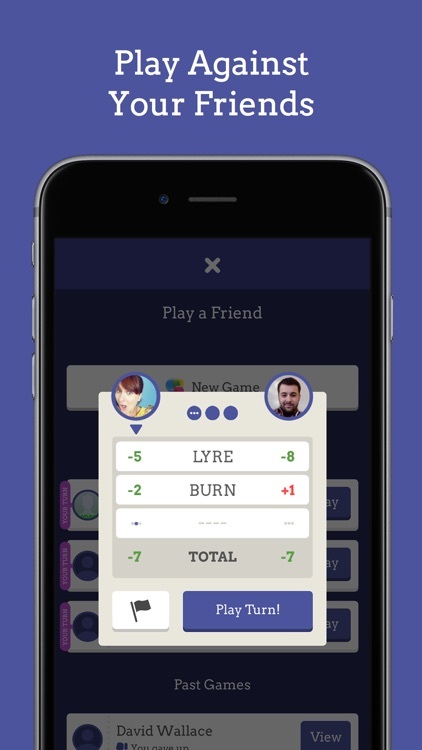 – Play 4-letter Qiktionary against friends in multiplayer where the best of 3 rounds is crowned champion. 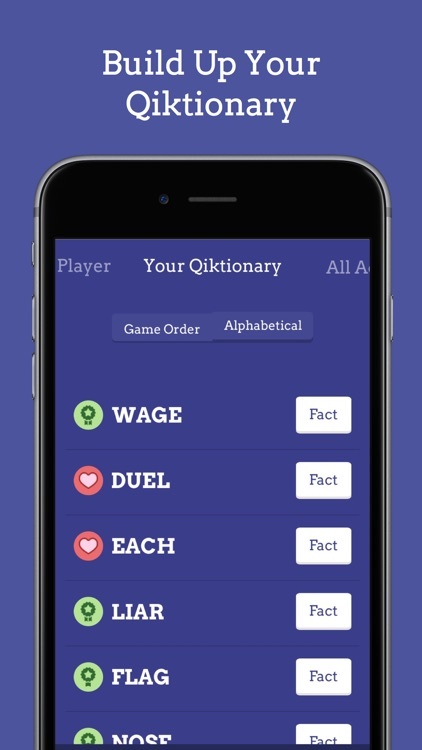 – Qiktionary is free to play but the most value can be had by upgrading to one of the subscription packages. 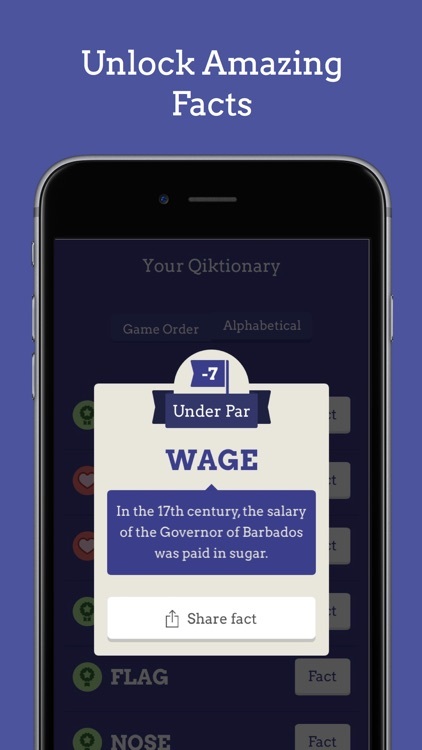 – A subscription to Qiktionary offers access to all new themed Wordpacks each month, each with a collection of brand new facts to unlock. 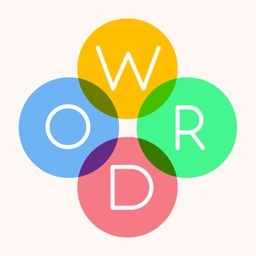 – Play through all 25+ Wordpacks in the back catalogue for hours of gameplay. 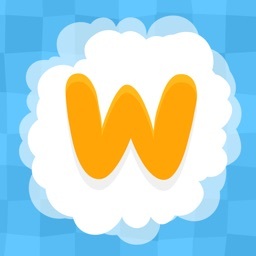 – Play unlimited simultaneous multiplayer games with friends with 4 or 5 letter word game challenges.